ERAdiate is the first EC-funded project to establish an ERA Chair for Intelligent Transport Systems. Launched in 2014, the project aims at building up a unique research and innovation hub in the Žilina region, in Slovakia, on global societal and environmental challenges connected to the solving of mobility issues with the use of ITS. C-ITS (co-operative ITS) is picking up speed. The U.S. Department of Transportation as well as the European Commission are about to create legal frameworks that pave the way to co-operated driving or even autonomous driving. The industry is investing into R&I more than ever in this field. Yet, key techniques are still unsolved. The greenhouse gas (GHG) mitigation achievements in industry, private dwelling and agriculture are almost eaten up by mobility with its increasing demand for fossil fuel. Decarbonising transport thus becomes a key issue that is expressed in manifold action plans and road maps. ITS is increasingly tackling urban mobility issues, covering all modes of transport. The traditional mode-centric approach fails in urban mobility while new aspects such as customer care, user needs and door-to-door are becoming crucial. Intermodal mobility is increasingly understood as the sheer provision of seamless mobility options. Scientific work is yet to be carried out in order to create services that are in a position to change mobility behaviour towards a high quality, less consuming issue. 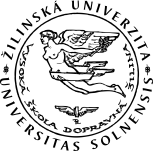 The University of Žilina becomes a unique innovation hub and a leading European institution in ITS research and innovation. 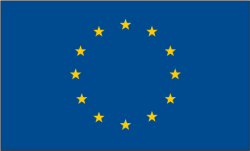 Awareness about ITS research activities at UNIZA is increased within the European Research Area. 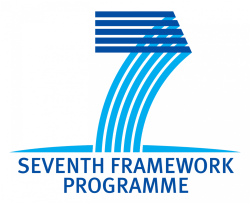 The performance of UNIZA and the Žilina convergence region in ITS research, innovation as well as education is enhanced for the benefits of relevant actors at regional, national and European levels. To contribute to scientific excellence in ITS and support regional innovation strategies fostering economic and social development. To build an attractive and internationally competitive environment at UNIZA through the development of human resources and maximisation of research infrastructure exploitation. The ERAdiate project intends to help UNIZA become an ITS research and innovation leader in Central Europe. Halvah candy canes chocolate cake cotton candy sweet dragée cheesecake ice cream. Marshmallow macaroon chocolate gingerbread chocolate cake marzipan. Lemon drops brownie cake. Halvah muffin cotton candy cake brownie fruitcake sugar plum carrot cake candy.